Urban flooding is a major and growing concern. Japan experienced floods and mudslides that killed more than 120 people last year. The Indian state of Kerala witnessed a 100-year flood that swamped several metropolitan areas. And a recent report from the Intergovernmental Panel on Climate Change (IPCC) warns that cities will face even more flooding and extreme precipitation in the years ahead. Today’s fastest-growing urban areas — for the most part located in Latin America, Asia and Africa — face another challenge on top of climate change: inadequate infrastructure. 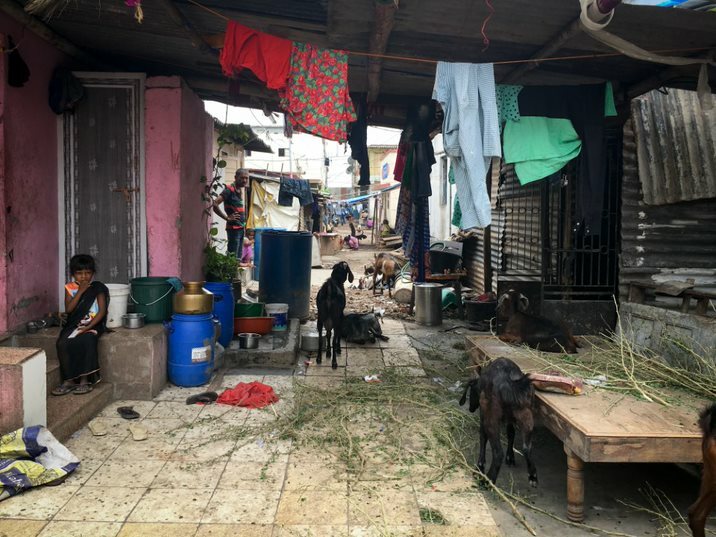 Housing for the urban poor is often located in precarious areas, like steep slopes, flood plains or hazardous industrial sites. Most residents’ homes are self-constructed and unable to withstand extreme weather. An estimated 1.2 billion people live in unsafe and insecure urban housing. Many city residents fear climate extremes, but their resilience capacities vary based on gender, age, income and social resources. To help better understand how to build resilience, WRI assessed several neighborhoods using the Urban Community Resilience Assessment (UCRA) tool, developed with support from Cities Alliance’s Joint Work Program on Resilient Cities. Learn more in our recent research paper, Prepared Communities. The UCRA helps city planners understand the nature of climate vulnerabilities in poor, urban neighborhoods and their means to adapt to them. 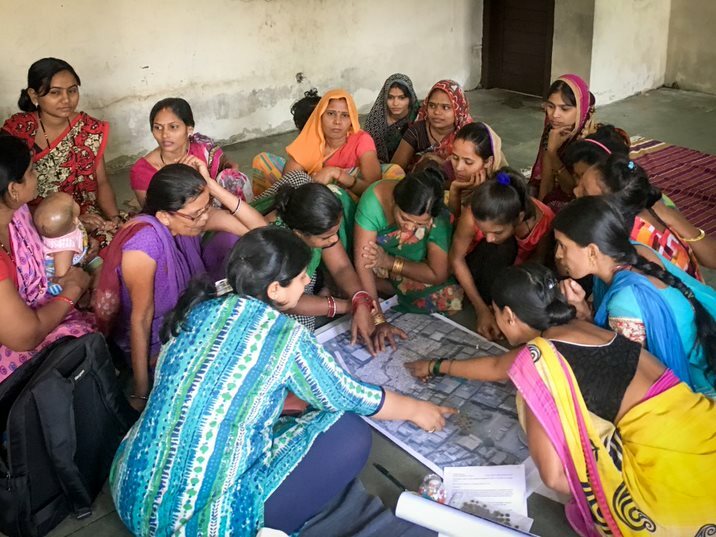 The tool can benefit cities in four ways: 1) to tailor early warning systems to meet the needs of vulnerable people; 2) map service gaps in vulnerable neighborhoods; 3) inform long-term resilience planning and build climate-resilient infrastructure; and 4) promote a culture of inclusive planning. 1. Residents are investing their own resources to rebuild, repair and maintain their infrastructure. Many residents in the neighborhood of Morarji Vasahat have lived together for 30 years or more. Households are semi-permanent built structures, with brick walls and metal or plastic roofing. Most roads are well paved and clean, with storm water drains along both sides. Household drainage is designed to flow through the same drains. Residents have built high plinths to raise their homes above street level and taller thresholds at their doorways to prevent storm water from entering homes. 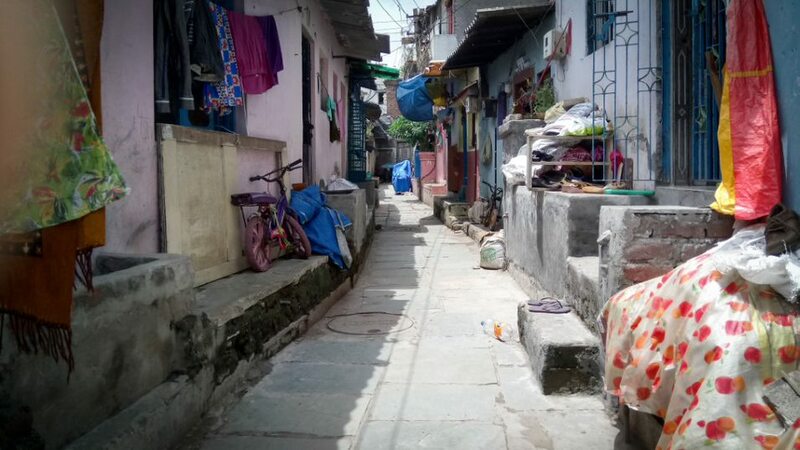 Residents are also taking special steps to prepare for the monsoons, which are growing less predictable and more intense in South Asia due to climate change. They are waterproofing their roofs by repairing cracks in corrugated metal and adding new plastic sheets. They’re cleaning storm water drains in the street. And they’re checking external water tanks and water taps for mosquito infestations and leaks to reduce the risk of vector-borne diseases. In the neighborhood of Ugat, infrastructure is less robust. Residents are repaving streets and filling potholes to reduce the risk of waterlogging and ensure main streets stay open during heavy rains. However, inadequate waste management and animal rearing are exacerbating risks to human health. Each time it rains hard, raw sewage spills into the street. Hence, residents chose to focus more on waste management in their community workshops as a measure to reduce the impact of floods. 2. Men and women participate in flood risk management differently, based on their social and financial capacities. In Morarji Vasahat, the neighborhood temple and community centers are used for shelter during floods because they are located on higher ground. The temple committee and male volunteers prepare food and other supplies for distribution during evacuations. 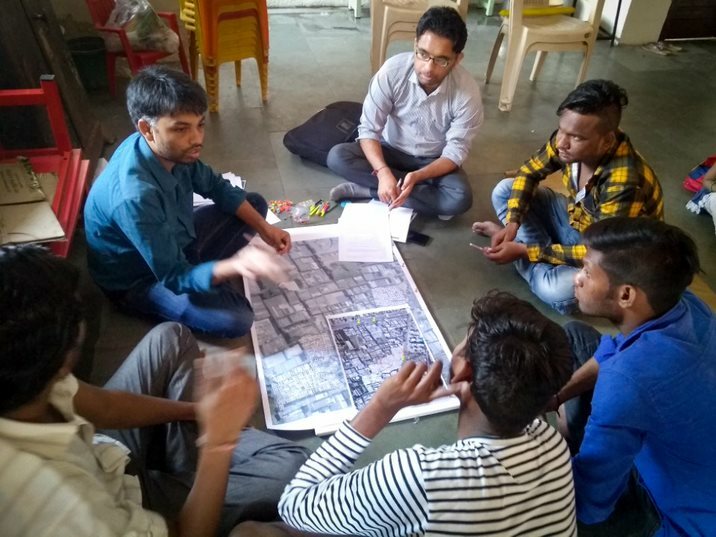 During the workshop, male residents marked on a map areas that are most prone to flooding and streets commonly used for access and emergency evacuation. The women of Morarji Vasahat maintain evacuation bags, packing them with money, important documents, medicines and other essentials. Some maintain an emergency savings based on the extent of losses incurred in past floods. In the community workshops in Ugat, men and women both discussed the need for improving waste management. They require more community garbage bins placed at convenient locations that are designed to manage overspills, so animals don’t get in. Residents complained about animal rearers who let their livestock roam free, adding to their health risks. 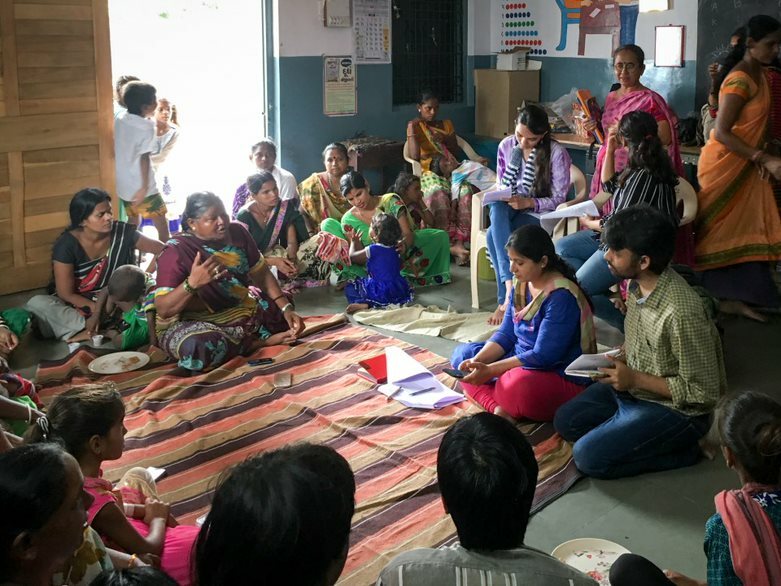 Women stressed the need for greater health awareness and trainings to manage waste and maintain healthy living conditions before monsoons hit. While residents try to maintain hygienic living conditions along their own streets, they acknowledge that waste management is a joint effort and one that needs to be supported by the city. 3. Socially and politically connected communities are more resilient than others. 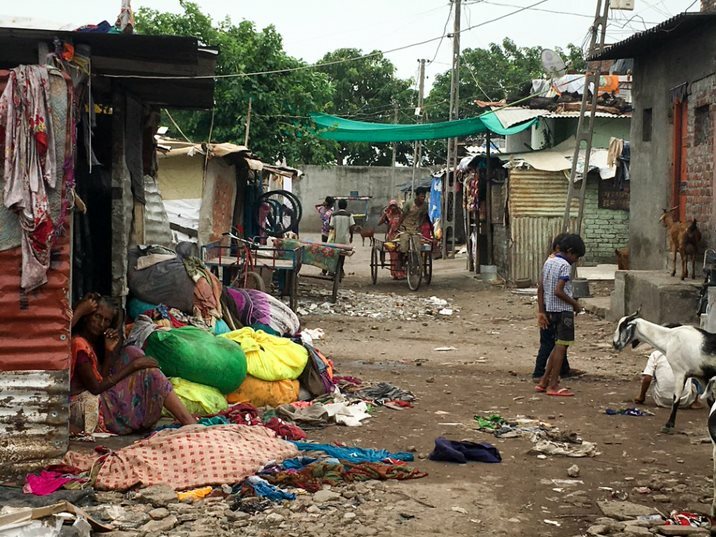 Though not especially wealthy, the Morarji Vasahat community is well-connected with city officials and political leaders. This is a big reason why its infrastructure is more resilient to flooding than the Ugat neighborhood. Residents of Ugat feel more disconnected. For example, survey results indicated that they do not know where their local administrative ward office is located, or the name of their corporator, an elected representative for the neighborhood. They expressed a lack of faith in local governance measures, instead focusing on community-based solutions to their waste-management challenges. Several women from both communities complained that flood warnings reach them only after water has already entered their homes. They said they would benefit from receiving heavy rainfall warnings a few days earlier. 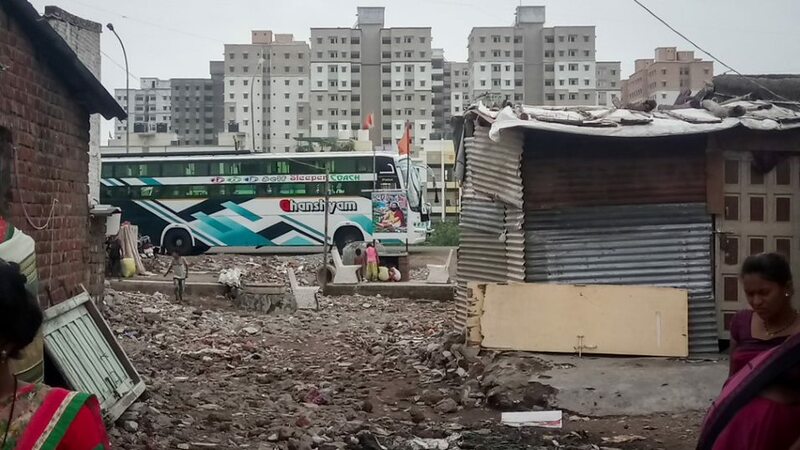 While poor residents across Surat are taking climate resilience into their own hands, critical gaps remain. The UCRA helps shed light on outstanding challenges and important differences between and within communities. WRI presented the results of our survey and communities’ recommendations to Surat city officials during a multi-stakeholder workshop, to communicate gaps in emergency preparedness and climate resilience planning. Now, it is up to the city government to take this information and inform better, more climate resilient planning in vulnerable neighborhoods.